The Abloy line of Shutout Puck Padlock Hasps are designed to be paired with standard format puck padlocks. Abloy makes two different Puck Padlock hasps. The SO430 flush mount version is great for doors, gates, container units, etc, and the offset SO420 is designed for use with vending machines. Both versions include mounting plates, carriage bolts, and locking nuts. Padlock hasps are made of steel and designed to prevent easy attack of the padlock itself. Hasps are generally mounted using through bolts or welding preventing easy removal of the hasp. Padlock hasps help reduce the chance of bolt cutters being able to access the lock and making grinding attacks far harder. 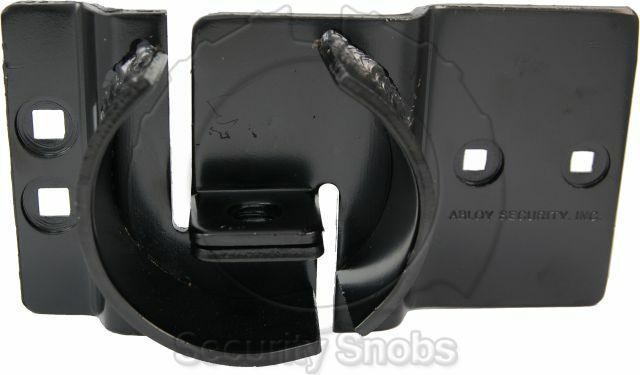 Abloy Puck Shutout Padlock Hasp was successfuly added to your shopping cart. You can browse for more products or proceed to checkout.